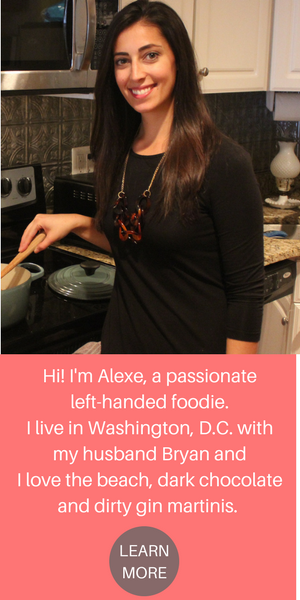 The roasted garlic in this recipe brings me back to being 19. At the time I was going to college and working two jobs. 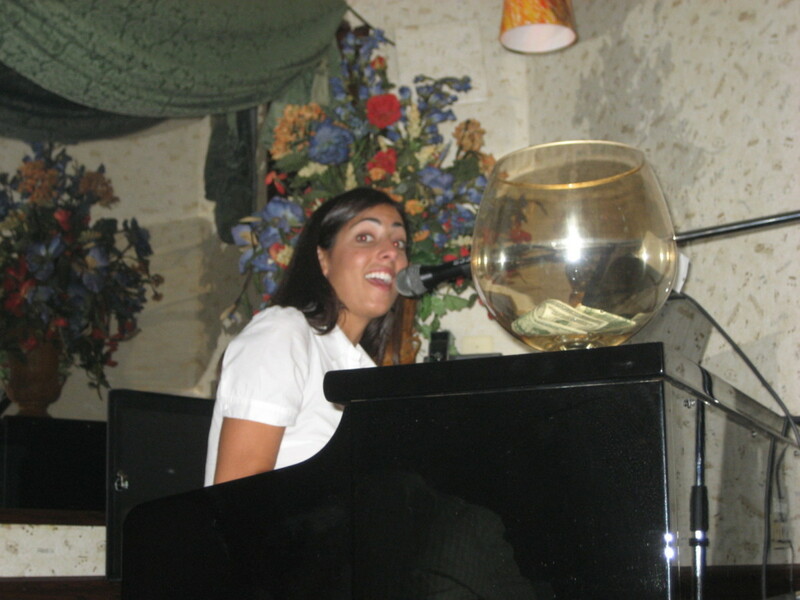 One of the two jobs was playing piano at a local Italian restaurant where I’d play for four hours a night, Wednesday through Saturday. Each night I’d get a break after playing for two hours to enjoy a meal on the house. Unlike the usual olive oil and parmesean combinations that Italian restaurants like to serve with bread, this one gave each table a whole roasted head of garlic. The garlic was golden in color, permeated the whole restaurant, and spread like a pat butter on the crusty bread. I had never had anything like it, so needless to say during my piano-playing stint I reeked of garlic but also reaped the health benefits of all that garlic consumption. 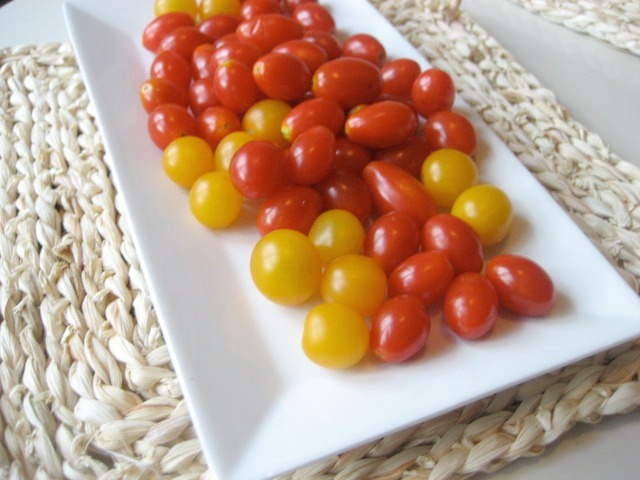 I love making this recipe when I know I’ve got cherry tomatoes on hand that are just about to go south. Roasting them seems to take my mind off of the fact that they are getting old, and with the combination of the sweet roasted garlic, you can’t go wrong. 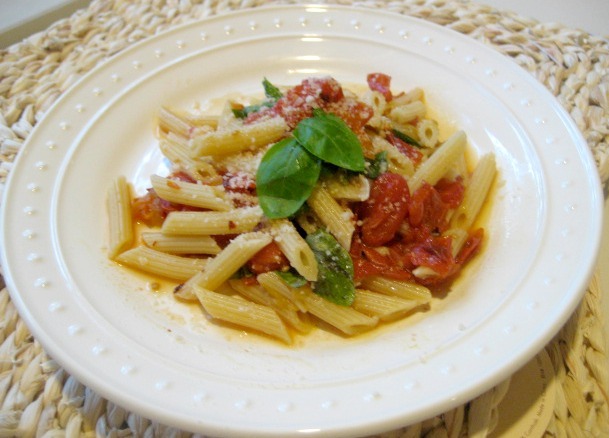 I love it topped on any type of pasta, and have even served just the tomato and garlic mixture as a dip. The song of the recipe is “New York State of Mind” by Billy Joel, a song that I played many a time in that restaurant. It takes me back to sitting in the corner of the piano bar, observing the guests, taking mental notes of who was actually listening and who wasn’t, and watching people awkwardly slip money into my tip jar /bowl. See below for a visual on those days. 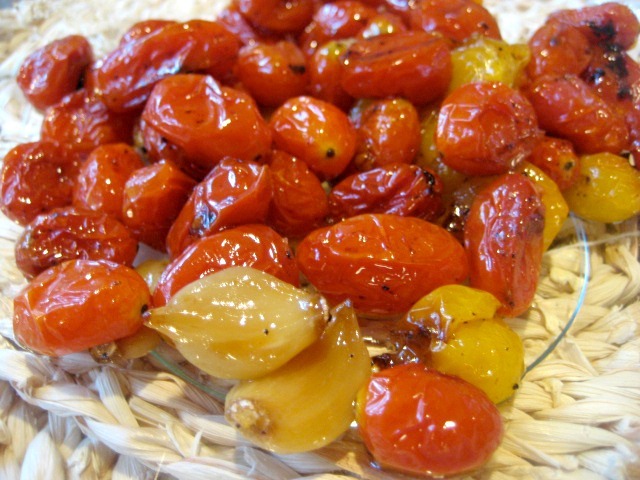 On a sheet pan, lay out cherry tomatoes and smashed garlic cloves (leave them in the paper so that they can roast away without overcooking). Drizzle with the evoo and salt and pepper and roast for 30 minutes, or until tomatoes begin to burst and the garlic becomes golden brown. While the veggies are roasting, get your water boiling and throw the pasta in. Remove the pasta and reserve about a cup of the starchy pasta water. In a large bowl, add the tomatoes and garlic (without the paper of course!). With a fork or potato masher, mash away so that the garlic and tomatoes combine. Add a few tablespoons of the pasta water to begin to make a sauce. Once all the pasta water is added, place your pasta in and add the parmesean cheese, crushed red pepper, and basil. Toss until the pasta is well coated and serve immediately.